Sorrento has been putting out the welcome mat for British travellers since the 18th century. As well as the stunning clifftop location, it's ideal for hopping across the Bay of Naples to Capri by boat, taking a spectacular drive along the hairpins of the Amalfi coast, jumping on the train to Pompeii or strolling to the crater summit of Vesuvius. Sorrento still vibrates with a bygone era that instantly relaxes you and invites you to taste La Dolce Vita for a few days. Glance across the evocative landscape and you will see the soft pink, blue and ochre buildings of Piazza Tasso. 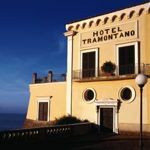 You will find there is more to Sorrento than the many shops and bars buried in its vibrant centre. Make your way down 200 steps to Marina Piccola, where you will find sun-worshippers relaxing under clear Sorrentine skies, and charming, unpretentious restaurants serving delicious fresh seafood. 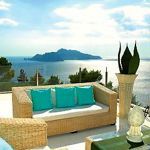 Boasting some of Europe’s most spectacular coastal views, it is a great place from which to explore the Neapolitan Riviera – back at base, sit back on your hotel terrace with a sundowner and gaze out to sea as the sun sets over Capri. 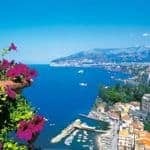 We have scoured Sorrento to find the very best choice of luxury five star hotels from old school classics such as the Grand Hotel Excelsior Vittoria to charming and historic gems such as the Hotel Bellevue Syrene. 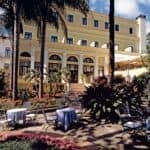 Find out more about Classic Collection’s breaks in Sorrento.